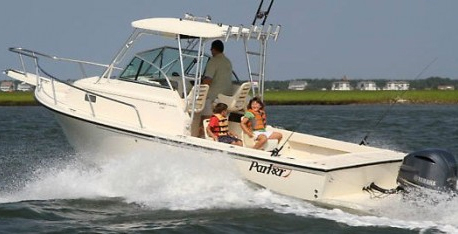 Modern construction techniques and materials make for a rugged and versatile family boat. 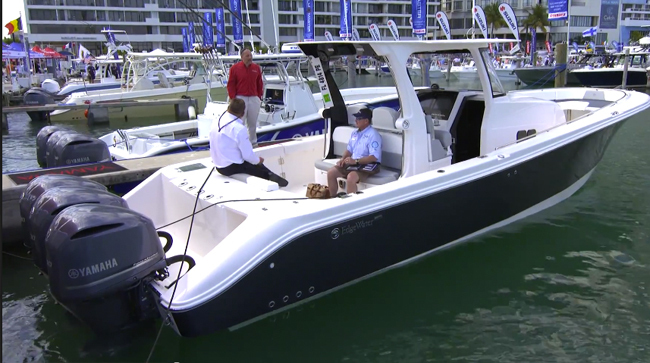 EdgeWater Power Boats is known for building fishboats that allow you to cruise in comfort, but their 335EX sets a new bar: it’s the largest cabin boat ever built using their Single Piece Infusion, or SPI, construction process. The hull laminate and grid structure in the EdgeWater 335EX are simultaneously vacuum-infused with vinylester resin. 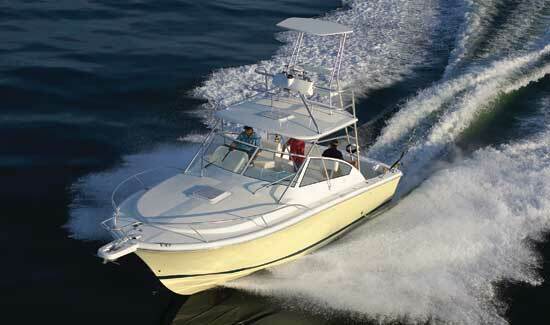 SPI creates a one-piece boat. Vinylester resin is vacuum-infused into the grid structure, which is composed of fiberglass and Penske Xtreme high-density composites, and the hull laminate—all at the same time. Resin in the grid structure cures with the resin in the laminate, bonding into a single extremely rigid piece. 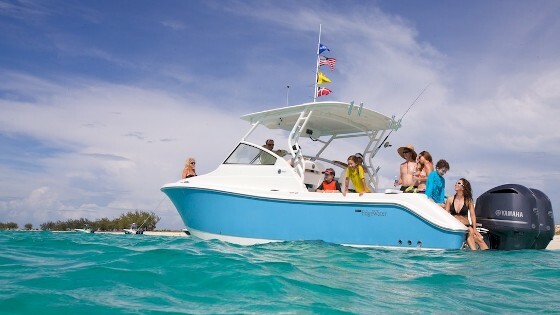 The 335EX cabin is ideal for a couple or young family on a weekend or short cruise. Strength-to-weight ratio is maximized, and secondary bonds (which are usually weaker than primary bonds) are eliminated. Beef is added to the bones when all of the belowdecks voids are filled with closed-cell PVC foam. The result is obvious: when the 335EX leaves the dock it feels like a brick you-know-what underfoot. 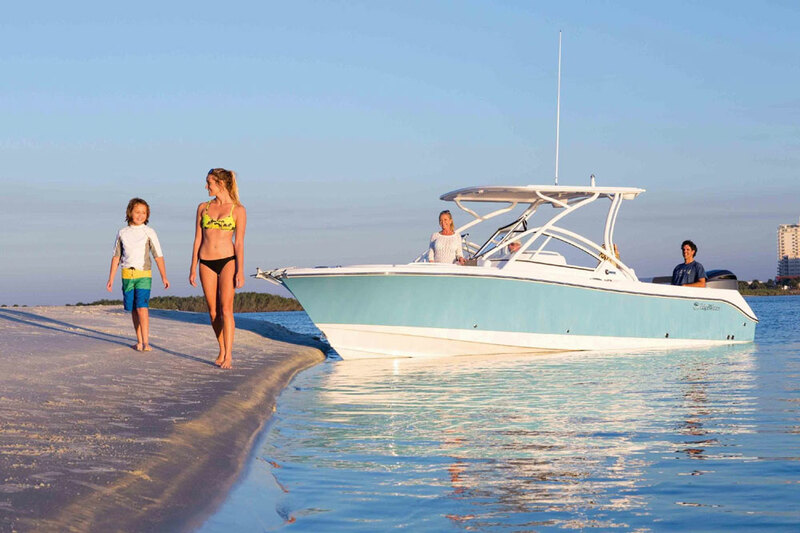 EdgeWater is so confident in the hull that they offer a limited lifetime warranty. 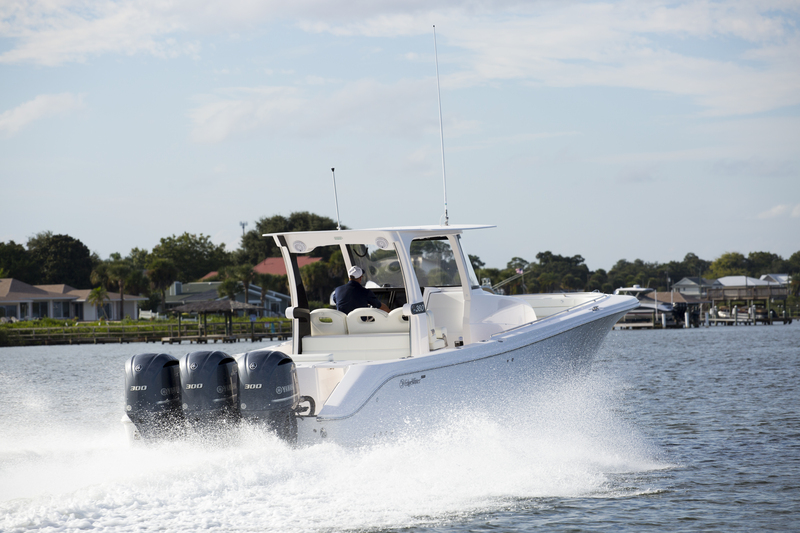 Rigged with a pair of twin F350 Yamahas, the 335EX cruises at a hair under 35 mph and can reach speeds approaching 50 mph. 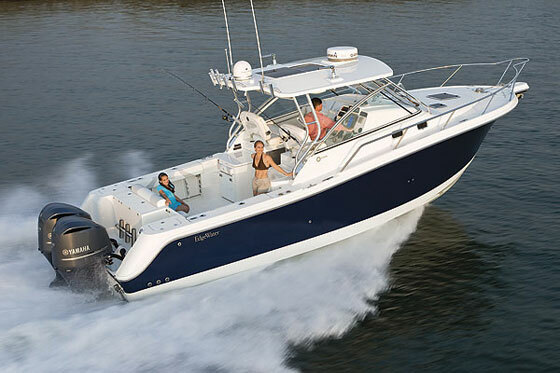 Belowdecks you’ll find everything you’d expect in a modern outboard-powered express: a galley with a two-burner stove, a refrigerator, microwave oven, and sink; a convertible dinette; an enclosed head with electric commode; a large forward V-berth; and a mid-cabin berth. 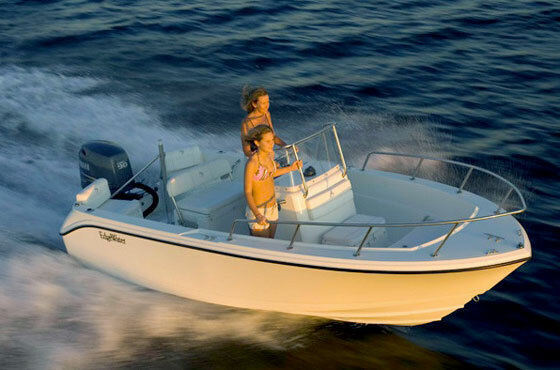 EdgeWater also stocks the boat with goodies like a bow thruster, anchor windlass, and a 12,000-Btu air-conditioning system. 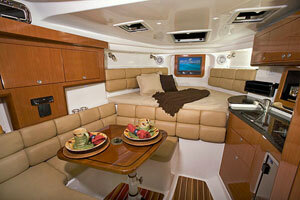 If you want the benefits of SPI construction and the comfort of a cabin on a fishing boat, check this one out. 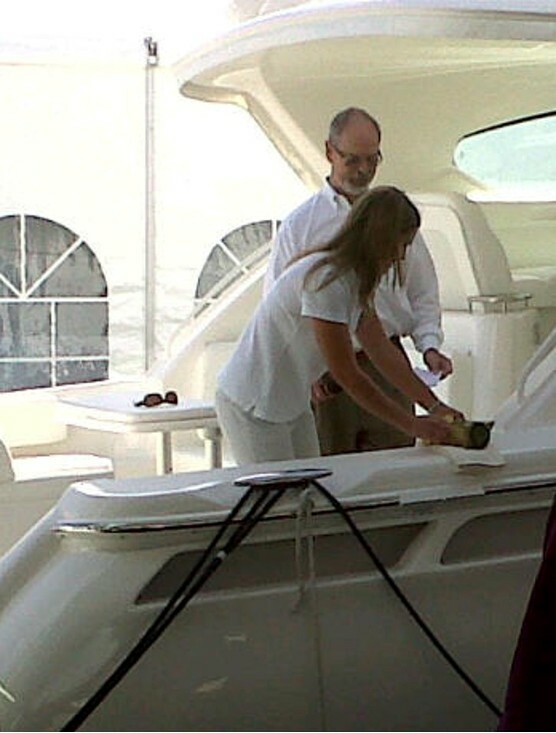 Lenny Rudow has been a writer and editor in the marine field for over two decades and has authored five books. He runs his own web site at HookedOnFishingBoats.com and writes weekly for Boats.com reviewing new models and covering marine electronics.